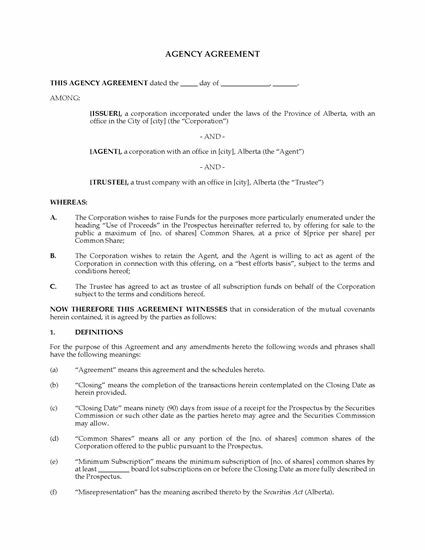 Retain a sales agent and a trustee in connection with a public offering of shares under a prospectus with this Agency and Trustee Agreement for Alberta issuers. 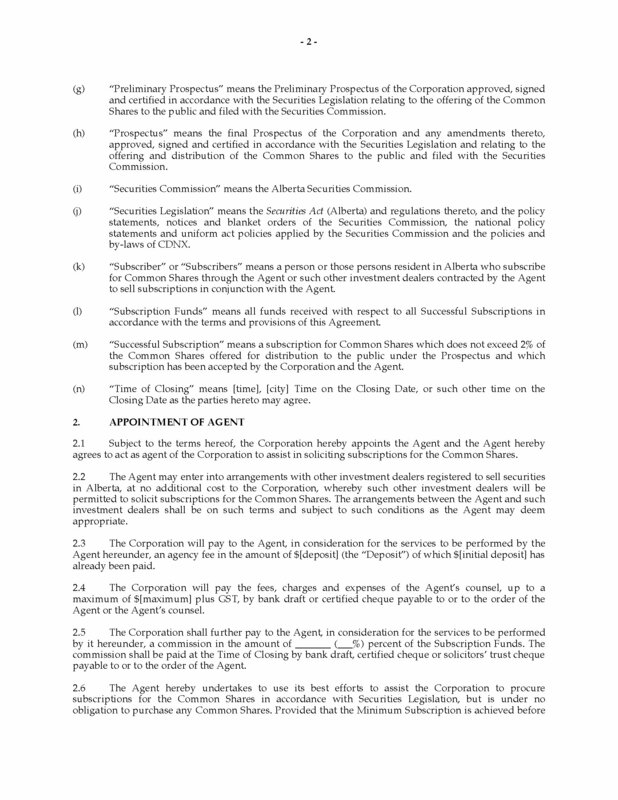 The issuer (offering corporation) retains the Agent to sell the securities on a 'best efforts' basis. 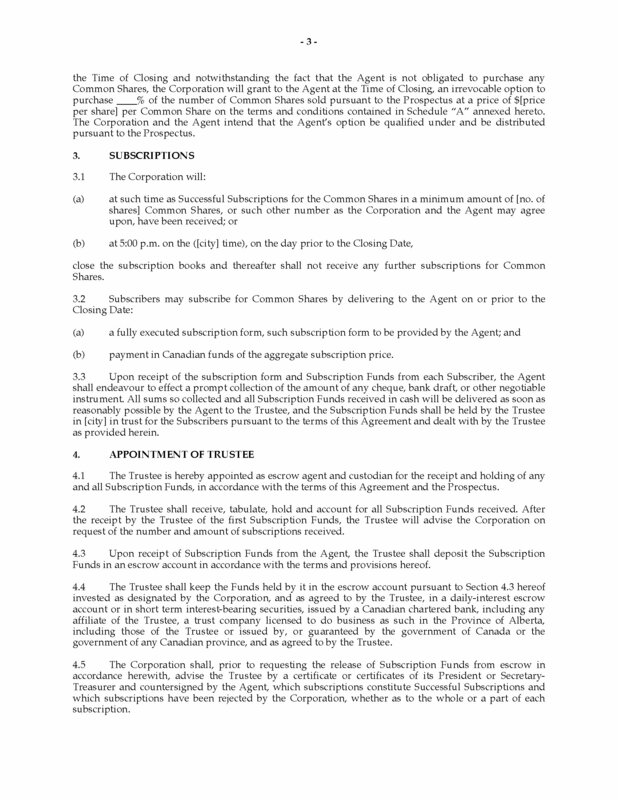 The Trustee will hold all subscription funds on behalf of the issuer. The Agent may enter into arrangements with other investment dealers registered to sell securities in Alberta, at no additional cost to the issuer. The Trustee will keep the subscription funds in a daily-interest escrow account or in short-term interest-bearing securities. 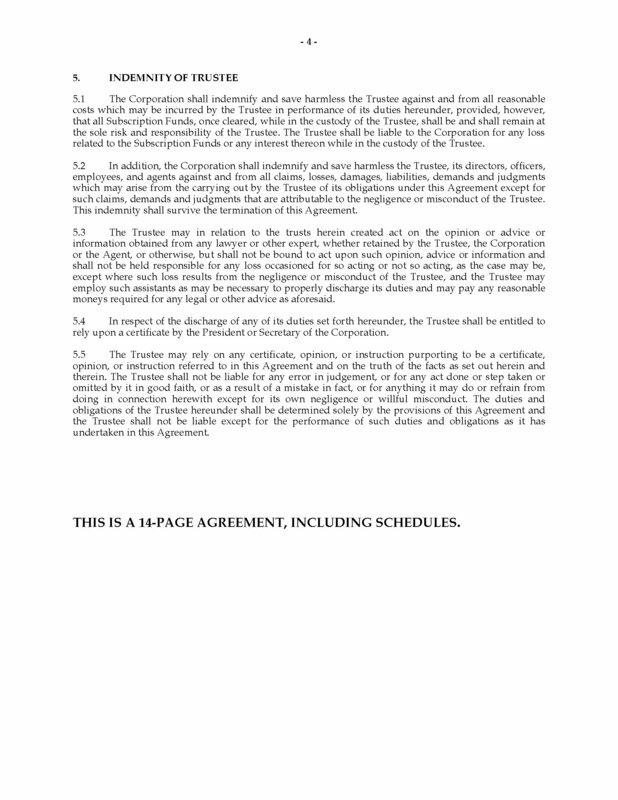 The issuer indemnifies the Trustee against claims or losses, and against its costs incurred in the performance of its duties. The issuer also indemnifies the Agent against claims or losses, costs or expenses (except loss of profits). 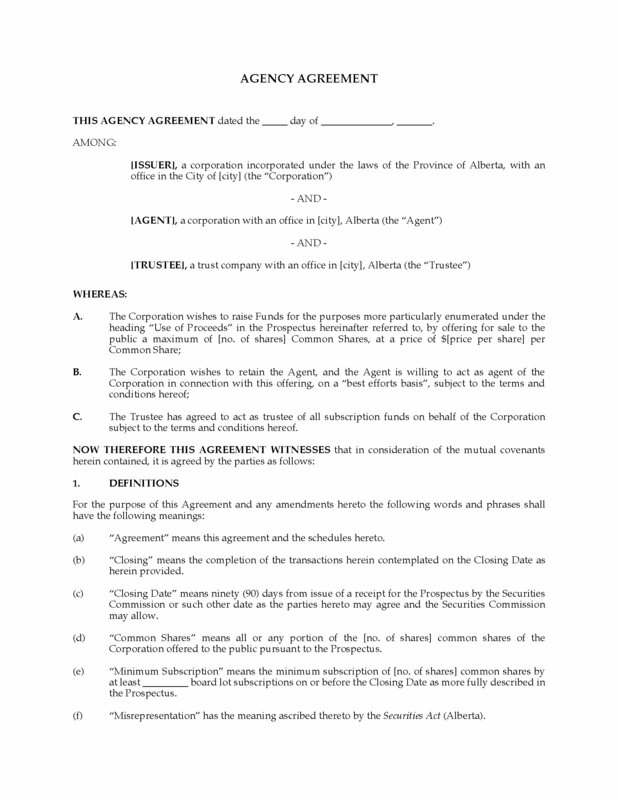 To access the Alberta Agency and Trustee Agreement, just add it to your shopping cart and check out. You can download the form immediately after purchase.